My blog has grown! In 2016 I started my very own travel agency, Love of the Magic Vacations! It seems that my Disney dream just keeps growing! I’d love to help you plan your next Disney vacation for free! Visit my webpage www.loveofthemagicvacations.com where we can start your magical vacation journey to Disney and Beyond! Experience the Magic! In the summer of 2015, I went out on a whim and submitted my husbands resume for a Senior Architect position at Disney. In October, several interviews later, he was hired! We are now currently living in the Orlando, Florida area, and living the Disney dream! I am lucky enough to visit the parks regularly, along with experience Disney’s many dining options and resorts! I’m not sure where my Love of the Mouse, or all things Disney came from, or when it started really. I don’t come from a “Disney” family, but I assure you I am part of one now! My children and husband have traveled to Disney many times, and we have many plans for future Disney travel. Some trips that are already book and paid for, and other trips floating around in my head, just waiting to wreak havoc on my husband’s savings plan! My first trip to Walt Disney World was when I was 15 and in the 10th grade. I had been asking my Dad for several years to take me when finally he agreed! He had thought for years that I would get over it. So he kept putting it off! He thought surely I would grow out of it! ?Clearly, I didn’t then and never have! That was the first of my many trips to Disney World! It was the start of my detailed Disney trip planning work, complete with a daily outline and outfits to go with the plans! The first time I walked down Main Street, USA, at 15, I cried, and then thanked my Dad profusely for finally taking me! Honestly, I still cry every single time I arrive! The magic never gets old and my excitement grows with each new trip! Somehow I’ve managed to get to visit Disney in some capacity every few years. I will beg, borrow and steal (not really steal) my way there at any given opportunity. I have actually been banned from visiting the park by my hubby on a work trip or two (so not nice! ), but even then I manage to make my way to Downtown Disney (Disney Springs now), just to get a taste of all that Disney magic has to offer! I’m not sure what I love most, the rides, the magical atmosphere or the characters, but I do know that the Interior Designer in me just can’t get over the amazing creativity and attention to detail that the Imagineers design. I am continuously in awe and inspired by their work! One day I hope to contribute to the magic in some capacity. 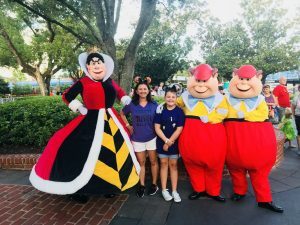 For now, my Disney work is in this blog, where I hope to help others plan a perfect Disney trip for their family! Whether it be at Walt Disney World, Disneyland or on a Disney Cruise. I currently live in the Denver, Colorado metro area. By day I am a Disney travel agent and model home Interior Designer. In the evenings I spend my time at home, with my Architect husband and two young girls. Make sure to like us on Facebook and Instagram @loveofthemagic and follow the blog! 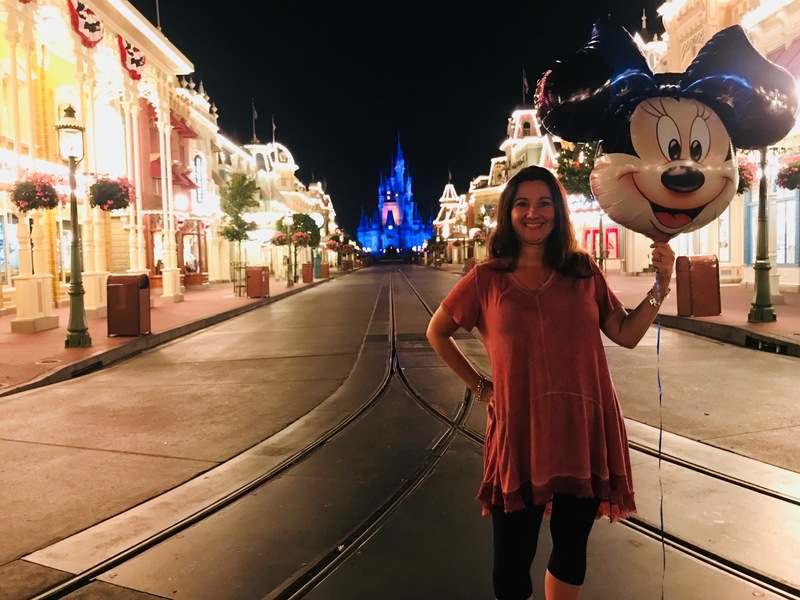 I’m happy to answer any questions you may have and help you book your next magical Disney vacation! Thanks for reading! My wife and I have been WDW fans since the early 70’s. We’re now up to 25 trips. Both of our boys worked in the college program and they are graduates of Disney U with their Ducktorials! One was a recruiter for many years post graduation. Yes, we love the Mouse. DisneyWorld is always changing. Our Disney Vacations are now for the purposes of seeing what’s NEW. We still have our favorite rides and places to eat. We’re always online checking out news releases. It’s so much easier to plan when you’ve done your homework. So, all you older kids, love the Mouse. It’s good for the soul. I love your comment! So glad to have fellow mouse lovers following along! Sorry for the delayed comment! Howdy! Someone in my Facebook group shared this site with us so I came to look it over. I’m definitely loving the information. I’m book-marking and will be tweeting this to my followers! Wonderful blog and terrific design.